"Am I going to have a White Christmas?" That is the question I am most asked this time of year. As is usually the case, it just depends on where you live. If you live in Colorado, Oklahoma, Texas or Kansas you could definitely have a "WhiteChristmas". Blizzard-like conditions are expected later today. Weather data coming in from morning computer models indicates over a foot of snow could fall in some of the above mentioned locations. 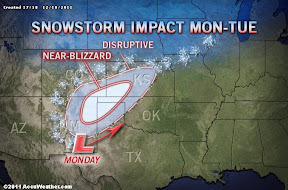 National Weather Service forecasts are calling for up to 15" of snow over southwest Kansas and northwest Texas. Meanwhile, we're waiting to see if any snow will introduce itself in the forecasts for the Midwest. 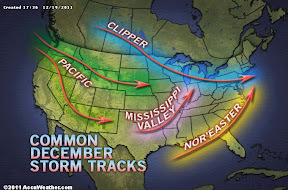 This time of year there are "typical" storm tracks that will favor snow accumulation. Typically for there to be a big accumulating snow storm for southeast Missouri, southern Illinois and western Kentucky we need a storm to track just south of the "Mississippi Valley" line shown above. 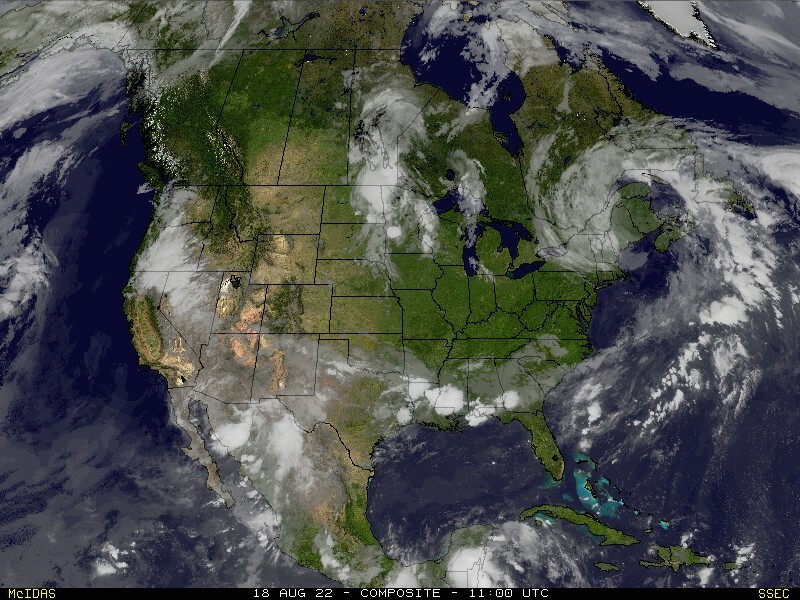 This means we're looking for low pressure systems to move from Dallas to the east/northeast. 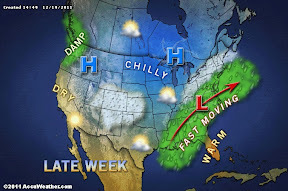 Later this week models are now hinting at the possibility for a few snow flurries or snow showers to be flying through the skies of the Midwest. The storm that will bring the precipitation will form along the gulf coast and take more of a "Nor'easter" track, similar to what is shown in the above Storm Tracks map. Models are suggesting that moisture will ride far enough north that some of it could fall as snow in east/southeast Missouri, Illinois, Indiana and Kentucky. Right now, amounts look minimal. Perhaps just flurries to a dusting in most locations. Although, a few spots, like Indianapolis, could see a half inch of snow. A lot of the fine details have yet to be shown. 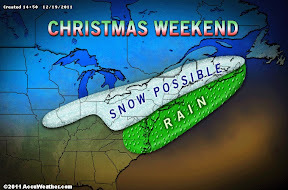 The above map shows where Accuweather forecasters thinks there could be snow for the weekend. I think they may need to drop the snow line a little further south over the KFVS viewing area. That being said, the chances for a "White Christmas" seems relatively small for all of the areas described above. A "White Christmas" is defined as having 1 inch of snow measured on Christmas day. I don't think we'll see that much. A lot will likely change in the forecast between now and the weekend so stay tuned to the forecast. Also, remember to follow me on Twitter (@johndissauer) for more frequent updates.